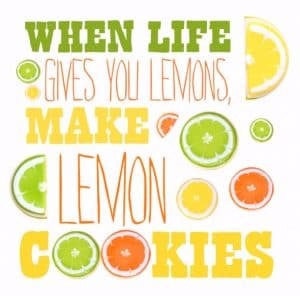 When Life Gives You Lemons... Make Lemon Cookies! What do you do when life gives you lemons? Here are seven proactive ways to handle things when life turns sour. Learn how to turn your life around!